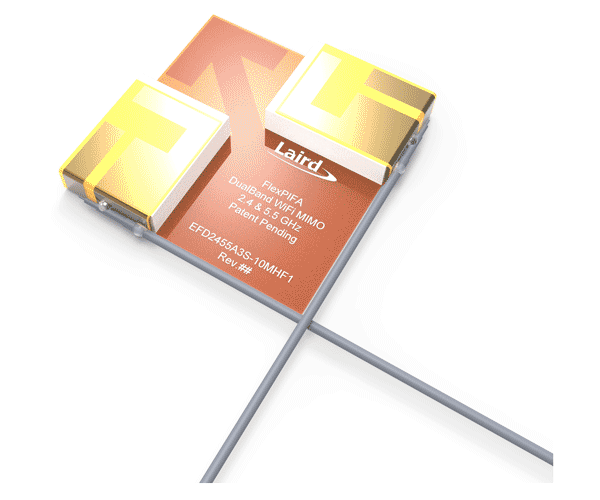 Laird’s dual-band FlexMIMO antenna is the world’s first flexible PIFA antenna specifically designed for 802.11 a/b/g/n as well as 802.11ac/ax Wi-Fi modules that use MIMO or Wi-Fi Diversity. The flexible PIFA design provides for consistent performance across a broad array of enclosures and enables adhering of the antenna to flat and curved surfaces. 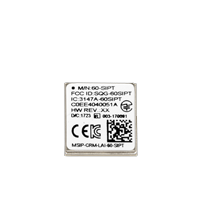 The FlexMIMO is certified for Use with Laird 60 Series Wi-Fi + Bluetooth Modules. The FlexMIMO has a layered, compact design, based on a Planar, Inverted-F antenna (PIFA) structure, with ideal orientation and spacing between the two integrated antenna elements- for the best possible range and throughput. 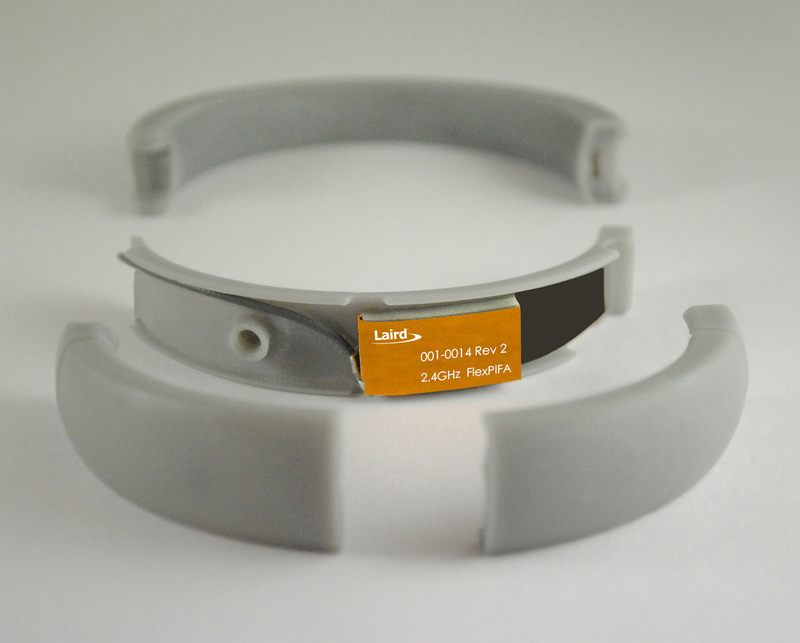 Laird specializes in full-service product design, testing, and manufacture. Laird's complete suite of capabilities allow you to bring your product from concept to reality. Design Research and Strategy - Go confidently into the design phase with Laird's comprehensive research and strategy, identifying key trends in the market and discovering unmet needs for innovation. Industrial Design - Laird creates unique, visually appealing, brand-consistent products that emotionally connect with the end user, with the sensibility and experience to select the right materials and minimize BOM costs. Prototyping - Find out early what works and what doesn't, mitigating risk and preventing problems down the line. Our state-of-the-art prototype lab offers rapid prototyping, plasting and metal casting, and more. Short Run Production - Hold it in your hand before moving to market. Our prototyping team can make anything from a few parts to hundreds, so you can see for yourself before committing to hard tooling or a contract manufacturer. Mobile App Development - We design user experiences to delight your customers, with expert interaction design, thorough testing, and data mining to ensure your customers get the best possible experience. 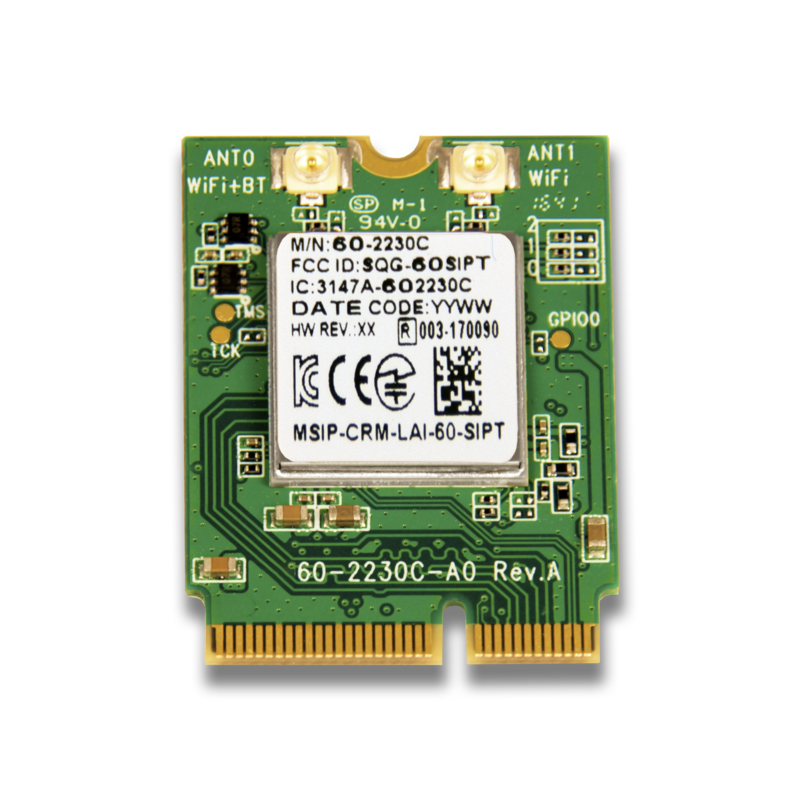 As a leader in developing the broadest range of wireless modules and antennas, Laird Connectivity enables customers to securely connect devices without compromising reliability or performance. In addition to our breadth of product offerings, we provide comprehensive product development, EMC testing and full certification services that improve speed to market and reduce risk for our customers. Specializing in end-to-end capabilities, we help you innovate groundbreaking solutions that are shaping the future of connected technology.